1. 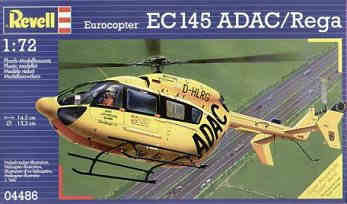 Heller's two new 1:72 EC145 kits are now available. 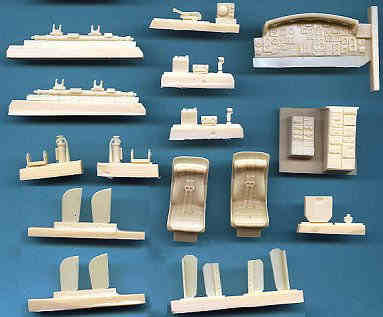 These are given a very favourable review at ModelStories, including pictures of the box contents, which concludes with "this model seems to herald a revival of the aircraft model at Heller which reaches a level worthy of their Japanese competitors!" 2. 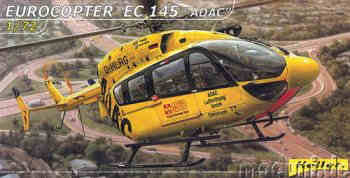 And at just the same time, Revell have released the ADAC / Rega version of their 1:72 EC145, #04486; as well as a rebox of the Italeri MH-53J, 04491, which has decals for a Desert Storm aircraft from 21 SOS. Presumably these will be an improvement over the Italeri decals. 3. Italeri have released their new Wessex HAS.3, #1258. 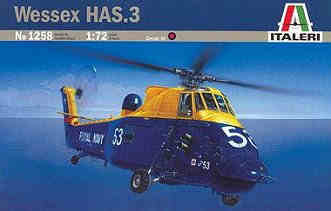 This is a re-box of the Revell kit which was itself a version based on Italeri's Wessex/H-34 moulds. 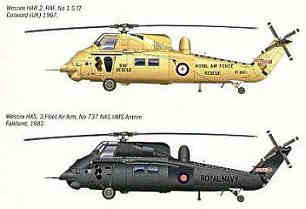 This kit includes decals for two aircraft, a HAR.2 from the RAF operating from Cosford in 1967, and a more typical Fleet Air Arm 737NAS aircraft operated off HMS Antrim during the Falklands difficulty in 1982. 4. 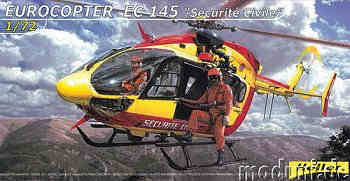 New from Platz 'Rescue Wings' is a limited release of two 1/144 JASDF Air Rescue UH-60J kits. 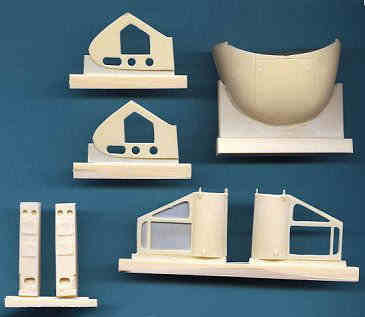 The kits are moulded in a clear but slightly opaque plastic, and include a nose section with all the bumps moulded in for the radars and FLIR turret. The large external fuel tanks and support arms are included; but what is perhaps most impressive at this scale is the inclusion of a sheet of photoetched details: pitots, antennas, boarding handles, even the windscreen wipers are there! 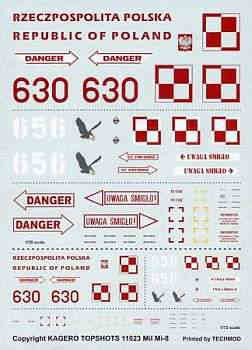 Decals are for two aircraft, serial numbers 18-4552 and 38-4578. 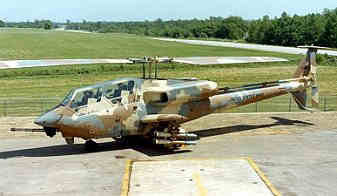 AA2063, Bell YAH-63, the AH-64 Apache's unsuccessful rival. 6. 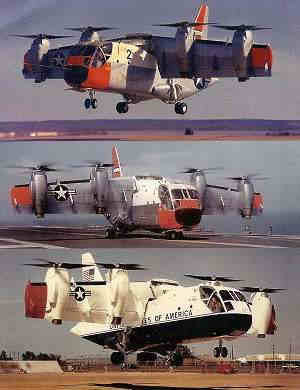 And also in the future, coming from FE Resins will be a 1:144 Vertol H-21. 7. Hobbylink Japan say that they expect the Academy/MRC 1:48 CH-53E to be available on or about May 31st. 8. We hear from MPM / Special Hobby that their 1:72 CH-37 Mojave is still making good progress, and that should any of us still be around, they plan to follow it with a 1:48 version in resin! 9. 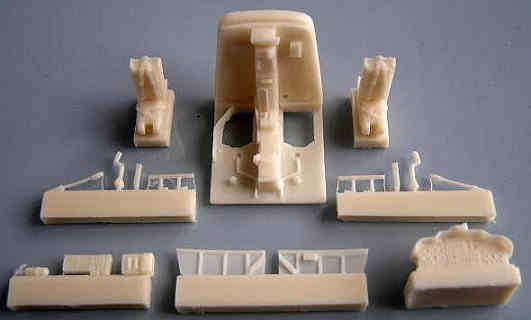 Pavla have released two new resin cockpit sets, both for 1:72 Italeri kits. 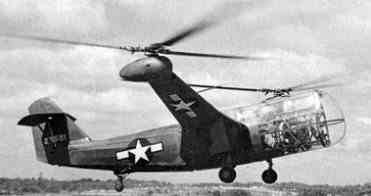 C72052 is for the OH-58D, also with 14 parts. 10. Cobra Company have released two new sets. 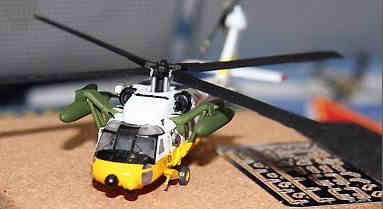 35018 transforms the Panda 1:35 UH-1N into a more detailed representation of the 20th Special Operations Squadron (SOS) 'Green Hornets' aircraft operated by the USAF from the early 1970's. 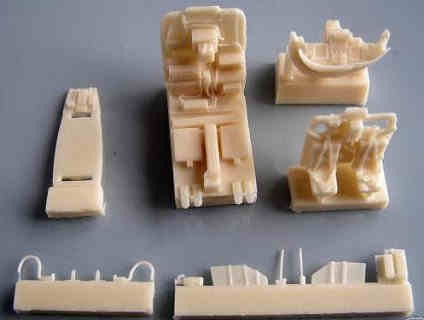 The set provides all the parts needed to correct the lines of the aircraft and to add some much-needed detailing in the cockpit, including a new nose, nose structure supports, instrument panel, centre console, overhead console, pilot seats with armour plating, replacement doors with interior detailing, cyclic grips, fire extinquishers, etc. 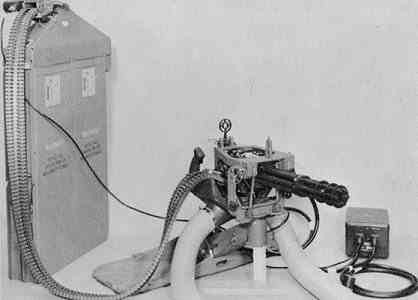 35019 XM-93 Automatic Gun System - a pair of 7.62mm door miniguns. 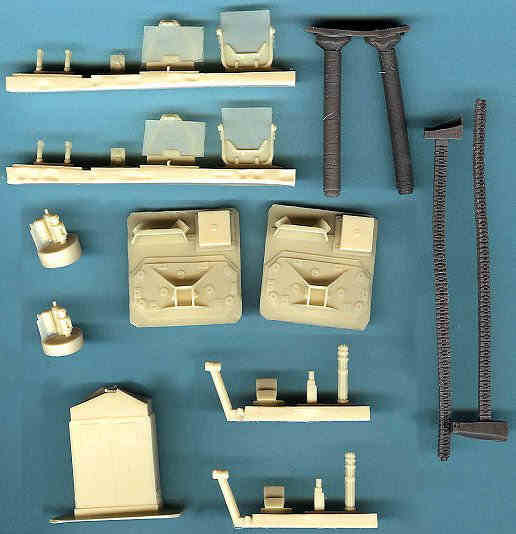 This set has resin ammo cans, floor mounts, swing-arm gun mounts, main drive units, and gun barrels; plus ammo feed belts and shell ejector chutes are molded in flexible rubber. 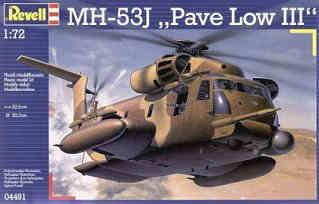 Also coming soon from Cobra Company will be 1:48 MH-53J/M interior and weapons sets. The 1:35 corrections and details for the Trumpeter Chinook are progressing well and will follow later, followed by a 1:48 M-60D machinegun set. Mike wants to know how much demand there would be for these before progressing, so if you're interested, email him now. 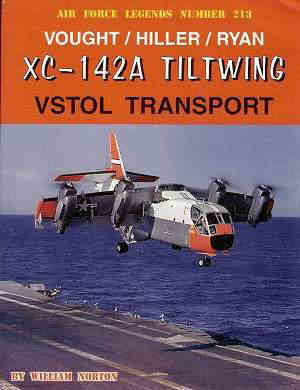 This is an essential refernce for anyone who has the excellent Anigrand XC-142A in their stockpile. (HKN #195). 16. 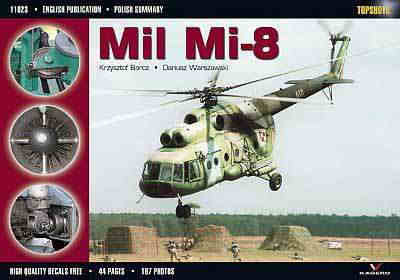 The latest in the Kagero Topshots series, number 23, covers the Mil Mi-8 'Hip'. Authored by Krzysztof Barcz and Dariusz Warszawski, it's in English with a Polish summary, 44 B5 pages, ISBN 836044501x, and comes with a decal sheet featuring Polish aircraft. Thanks to Pete Brown, Floyd Werner, Tony Morgan, Phillipe Dognon, Daniel Mueller, Steve Crow, and Felix Troschier..